…in primitive times some have here and there chanced upon the thought, that the separated soul is in a state of sleep without consciousness, and without sensibility, until God wakens it up at the last day, together with the body. Calvin, following Eusebius’ Ecclesiastical History, traces the doctrine back to the early third century, “[originating] with some Arabs, who maintained that ‘The soul dies with the body, and that both rise again at the Day of Judgment.’” Some scholars, in fact, maintain that the doctrine may be found even farther back in church history in the writings of Tatian. This characterization of death as “sleep” occurs frequently in the Old and New Testaments because it fittingly represents the state of unconsciousness in death. There is harmony and symmetry in the expressions “sleeping” and “awakening” as used in the Bible for going into and coming out of a death state. The two expressions corroborate the notion that death is an unconscious state like sleeping, from which believers will awake on the day of Christ’s coming. Thus, literal sleep is a state of absolute unconsciousness. Yet is this the case? 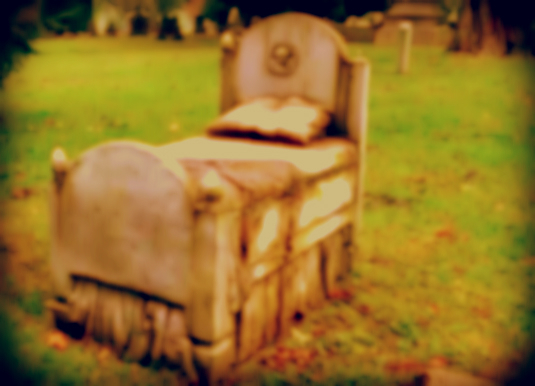 What would it mean for the dead to be in a state similar to literally being-asleep?